This aluminum boat repair kit is a fast and inexpensive method to repair leaking rivets, cracks, and small holes in aluminum boats. Suitable for all types of aluminum boats including pontoons and jon boats, all you need is a propane torch. 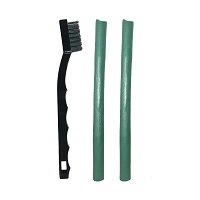 The kit includes easy to follow instructions, two sticks of epoxy (enough for 25 repairs) and a stainless steel brush for surface preparation. 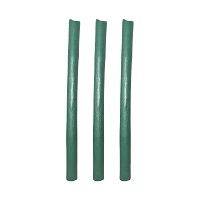 The replacement package contains three sticks of epoxy (enough for 36 repairs). Kit includes easy to follow instructions, two sticks of epoxy (enough for 25 repairs) and a stainless steel brush for surface preparation. These epoxy sticks are meant for quick and easy repairs to aluminum boats of all kinds. All you need is a metal brush to prepare the surface and a propane torch to work with the epoxy. Aluminum boat repair has never been easier!